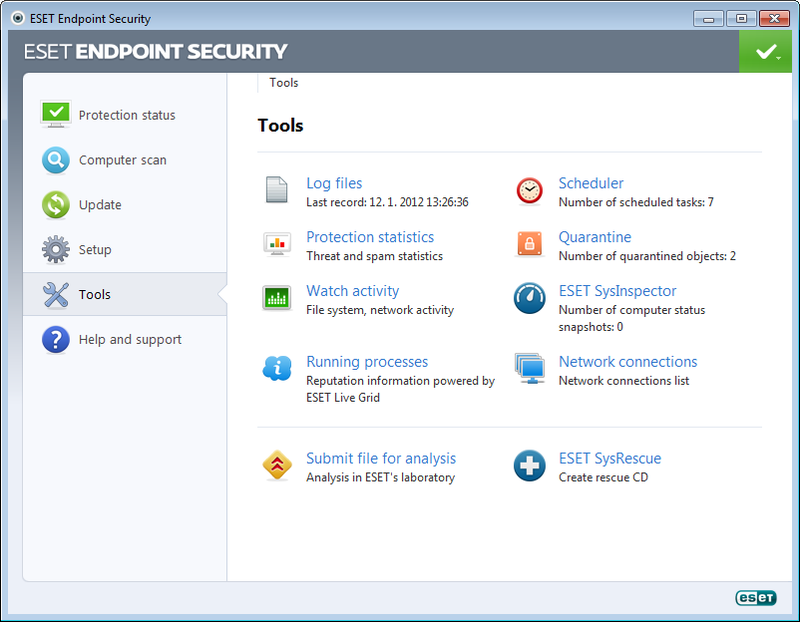 ESET Endpoint Security is the new generation of ESET’s products for SMB and enterprise customers. The solution utilizes scanning technology based on whitelisting of “safe files” that are cross-checked against the reputation database for optimized performance and boasts enhanced ESET Remote Administrator for managing clients. ESET Live Grid delivers optimized real-time protection against emerging threats. 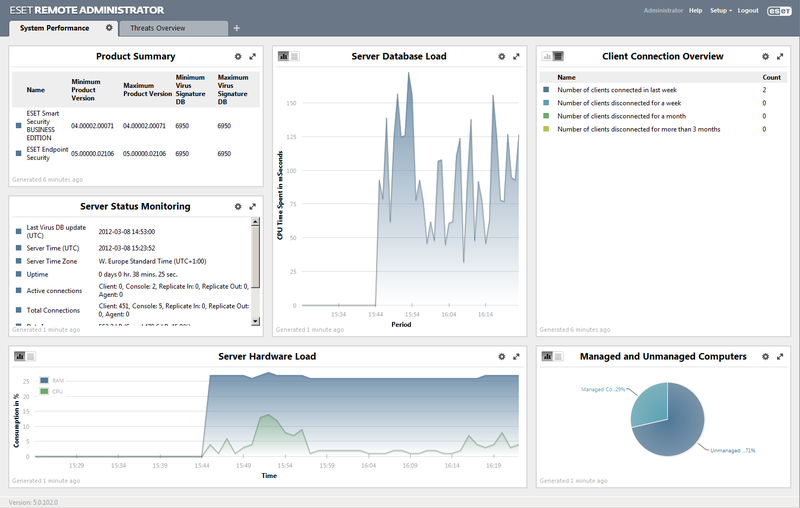 Real-time Web dashboard displays critical information about network security based on user preference. Assign different ESET Remote Administrator users a variable set of functional rights according to the needs of your organization. 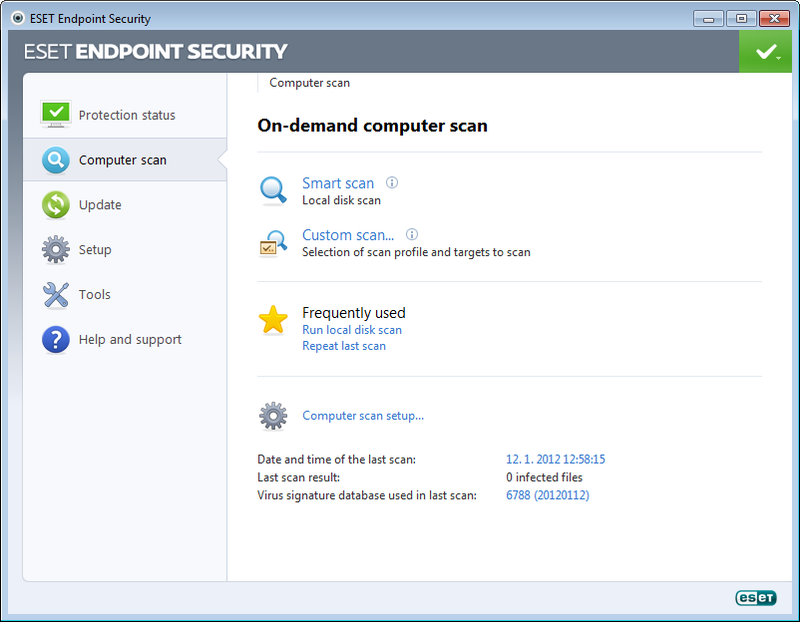 Industry-leading proactive protection of endpoints with multiple layers of malware detection. Firewall comes with easy setup learning mode and powerful rules. 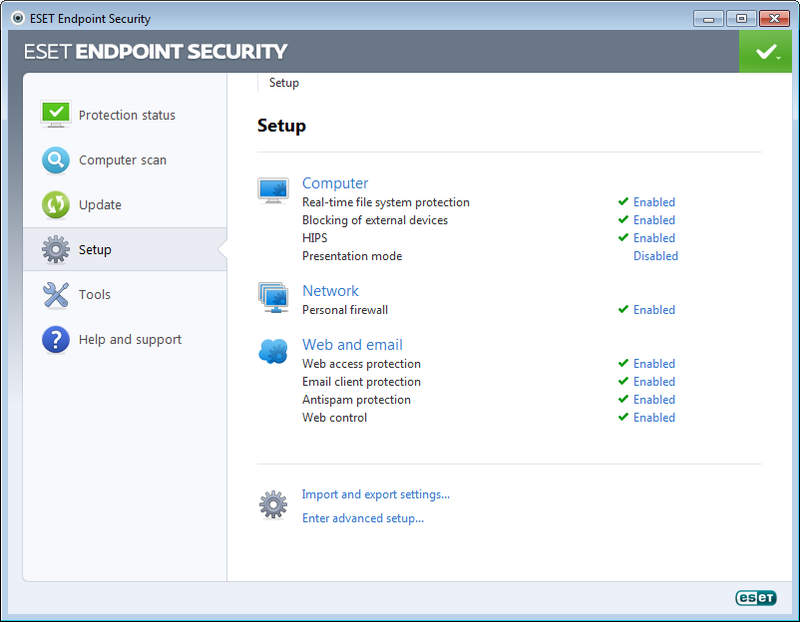 Antispam engine keeps company endpoint inboxes free of unwanted email. To activate the product please download the License file. 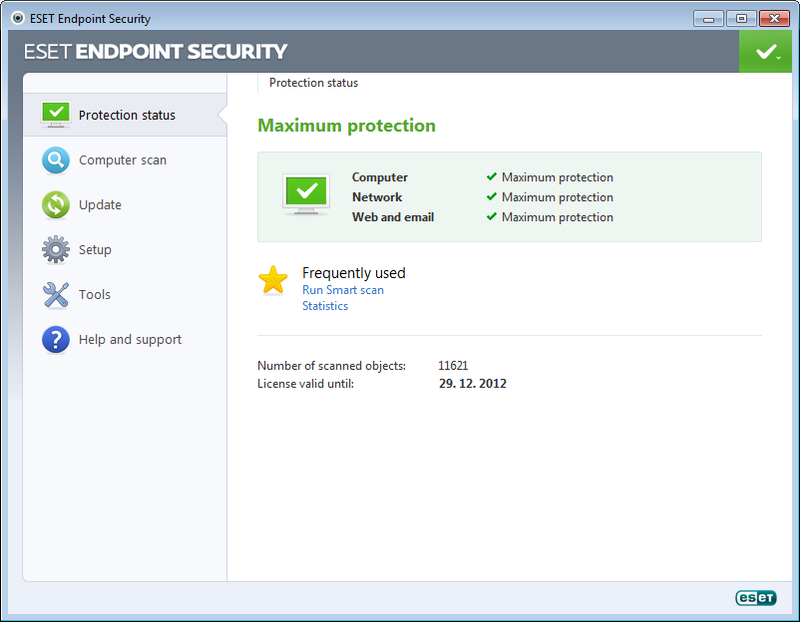 Advanced protection of endpoints with ThreatSense engine and ESET Live Grid makes the solution highly effective against emerging threats. Enhanced remote management of clients and small system footprint fits any size system environment. To activate the product please download the License file . As an integral part of the new security solution, ESET Remote Administrator 5 allows for a more detailed manageability of clients, including remote installation and configuration, applying security policies, as well as scheduling tasks. 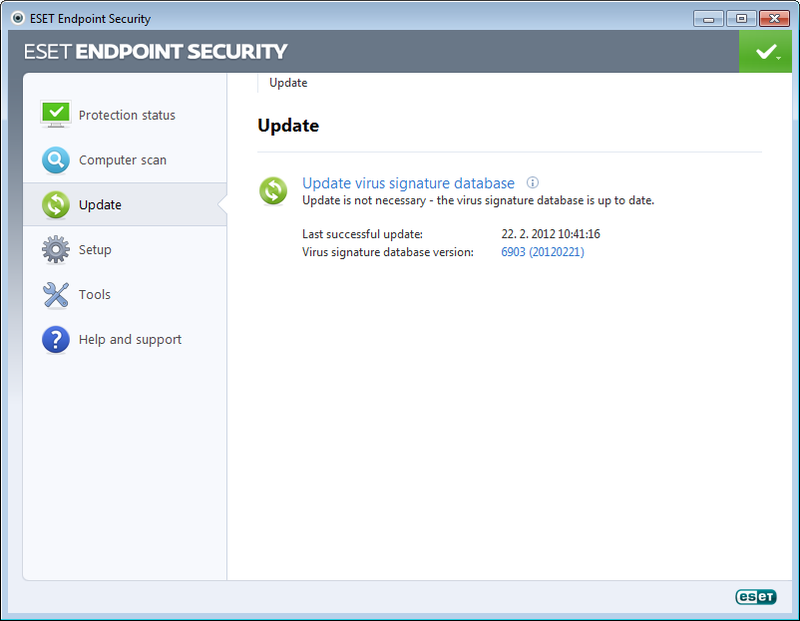 * To activate the product please download the License file and enter product credentials.